Bridge Solutions Group, a supply chain technology consulting company, specializing in Order Management System (OMS) and Warehouse Management System (WMS) implementations, has received two awards from IBM. The first was the Client Value Innovation Award '16, awarded to Bridge Solutions Group’s Indian entity, BridgeSGI Solutions India (P) Limited. 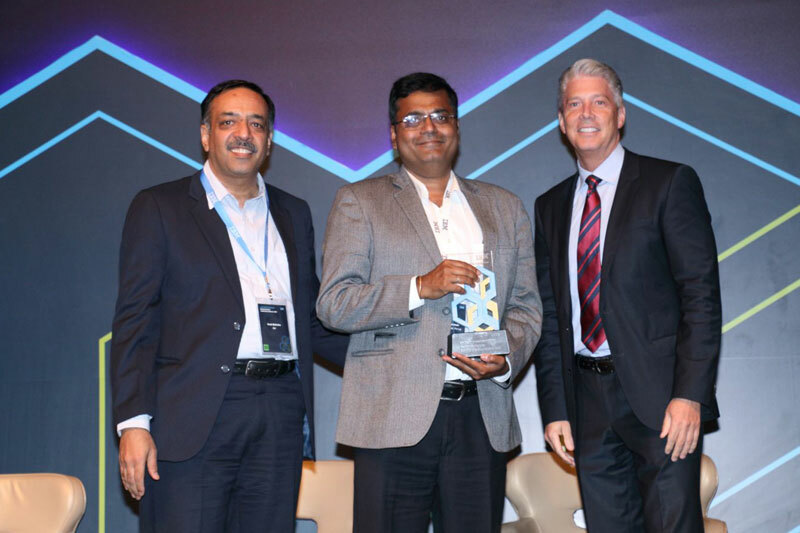 The award was presented to Anand Panchapakasan, Bridge Solutions Group’s Chief Delivery Officer, by Eric Schantterly, Vice President, IBM Systems Hardware and Vivek Malhotra, Director, IBM Cloud, IBM India, at the IBM Business Partner Leadership Conference, in Mumbai on April 12. It recognized Bridge Solutions Group’s outstanding contribution and leadership in driving a strong performance in revenue, client value, innovation and solutions. Specifically this award was presented for a solution that provides customers with the ability to print labels and picklists from the cloud based Warehouse Management System to a USB connected printer on the client terminal. This enables customers to work behind firewalls while deriving advantages of local (non-networked) printers. 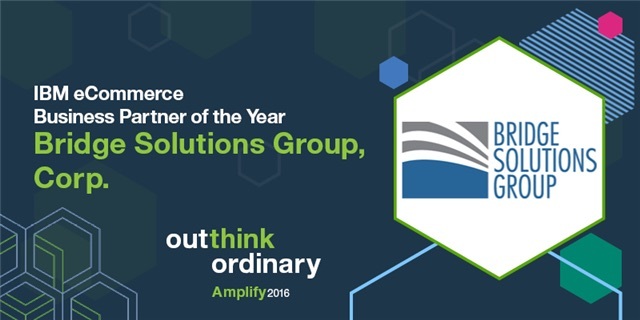 The second award, Business Partner of the Year 2016: eCommerce, was presented at IBM Amplify in Tampa Florida on May 16. 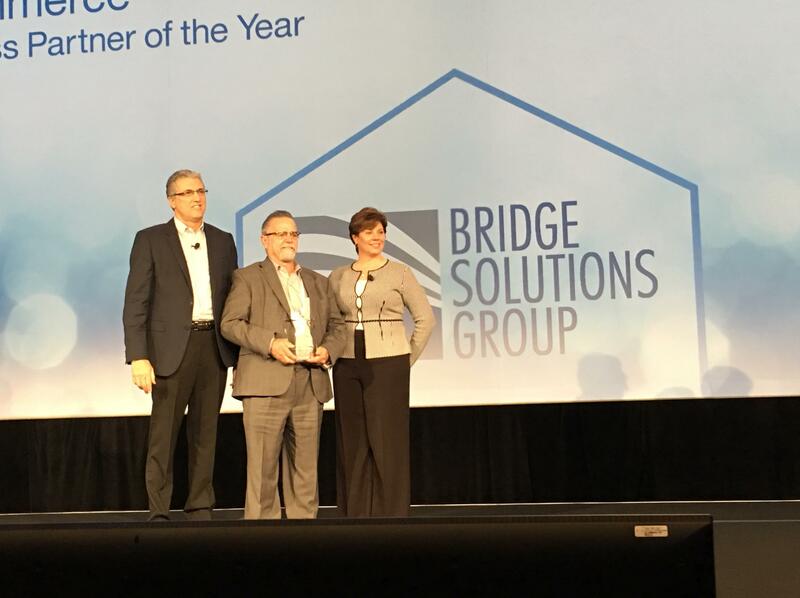 Bridge Solutions Group CEO, Doug Brochu, accepted the award, which recognized the company’s overall contribution to IBM’s eCommerce customers, specifically around order management and fulfillment. “We’re both humbled and proud to have won these awards, as they acknowledge the value provided by the tools and integrations we’ve developed for our customers. And we’re really excited about some of the new integrations we’ll be announcing soon” said Doug Brochu, Bridge Solutions Group’s CEO. Bridge Solutions Group implements omni-channel order management, fulfillment, and B2B integration solutions from IBM and JDA. Their comprehensive service offering includes supply chain strategy, solution design and implementation, managed services, project and program management consulting, custom application development, business process consulting, and cloud hosting services. To learn more, visit bridgesgi.com.